The cold ground below gave a loud crack … Then another. “This isn’t good,” I thought to myself as I realized what was happening and looked at our rental car beside me. We were in the middle of nowhere outside of Fairbanks, Alaska and had been looking for a wide open space during the dark of night. It was March, but the land was still blanketed in winter with snow and ice covering everything. We quickly packed up the camera gear and hopped back into the rental car to make a loop around the lake so we could head back to solid ground. We both sat there silently during that short drive hoping that the ice would hold and we wouldn’t crash through the ice into the frigid water below. Out of all my travels, Fairbanks, Alaska remains one of the most incredible places I’ve ever been. In winter the place is a wonderland. Seeing the northern lights in person was one of the most incredible experiences of my life. 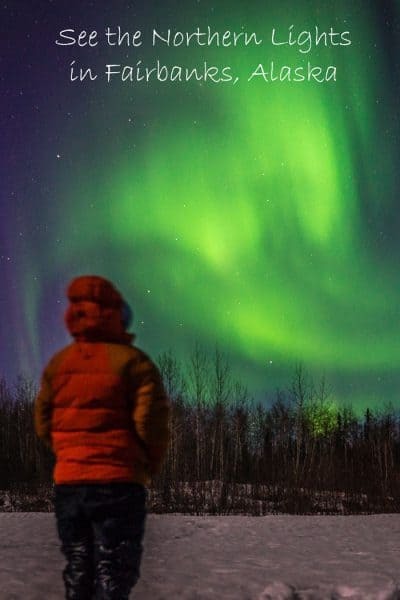 Fairbanks is an excellent place to see the lights with frequent and highly active displays coupled with reliably clear skies. They say that if you stay at least three nights, you’ve got an 80% chance of seeing the lights while there. On our first night in town they were already shining, and during our week long stay, we only had one night where there was cloud cover and we were unable to see the aurora borealis. Read more about the logistics of when and where to see the northern lights. 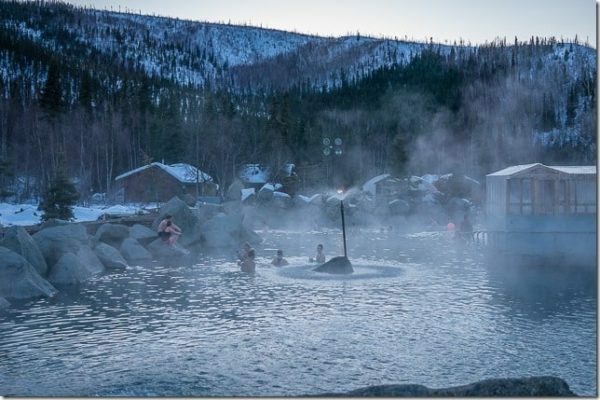 The Chena Hot Springs are located just outside of town, and there’s nothing quite like stripping down to your swimsuit as snow falls around you. 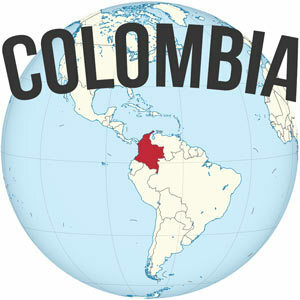 The waters and nice and warm, and they’ve got both an indoor and outdoor section with pools at different temperatures. 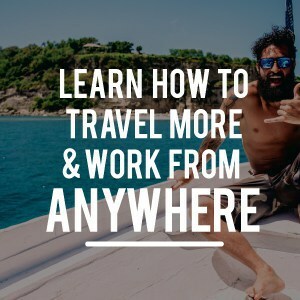 You can even hang out until nightfall and hopefully get the northern lights overhead. While you are at the Chena Hot Springs, be sure to visit their ice museum, which features elaborate ice carvings and incredible designs. inside what seems to be a giant igloo. 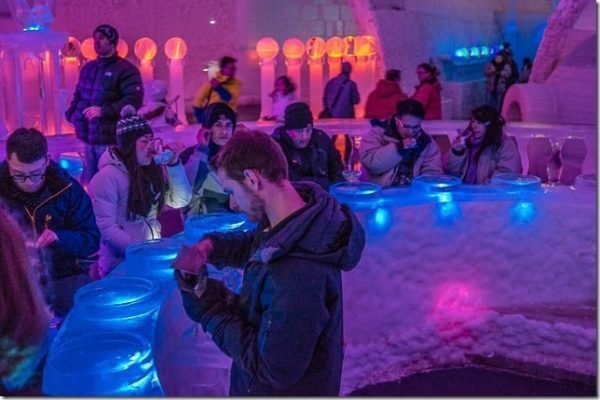 With your entrance, you can also choose to get a cocktail at the ice bar, which is served in a martini glass made out of, you guessed it, ice. All in all it is a really cool experience that is not to be missed. Best of all, it is open year round as well. There is nothing like hiking through the snow with the soft crunch under foot, the only sound in an otherwise silent place. You can often see little birds picking their way through the snow, and everything just has an amazing atmosphere during the winter. If time is short you can hike through the flat terrain near Creamer’s Field right in town. There are large forested areas and small ponds or creeks in the migratory bird refuge. 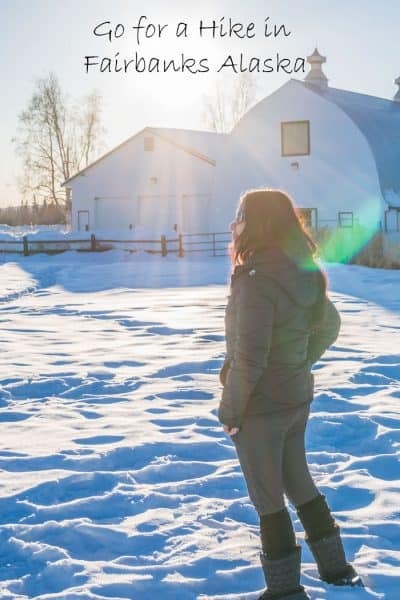 There are lots of options outside of town as well, such as the Chena Dome Hike. 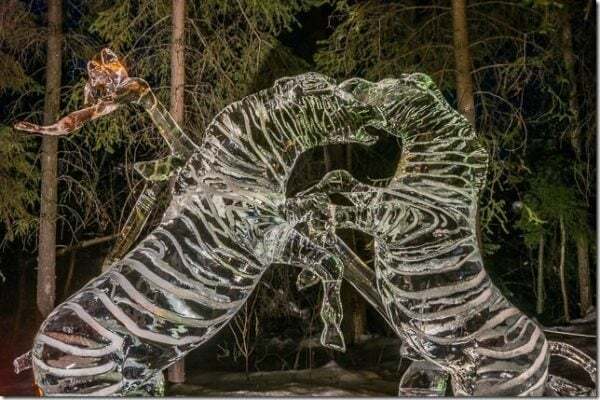 The World Ice Art Championships are held in Fairbanks each winter and the works of art are absolutely incredible to behold. Intricately detailed and quite massive in size. They are carved with painstaking detail and effort, and they are all ephemeral and melt at the end of the season. Don’t miss this one of a kind attraction. Maybe you aren’t a car person, I’m certainly not. But you shouldn’t miss out on this unique and comprehensive collection of antique cars at the Wedgewood Resort in the Fountainhead Antique Auto Museum. It portrays the development and progress of the automobile from the earliest times and gives a unique and interesting perspective of the first cars in Alaska, which is pretty remarkable when you consider just how remote and rugged Alaska was (and in many ways, still is). 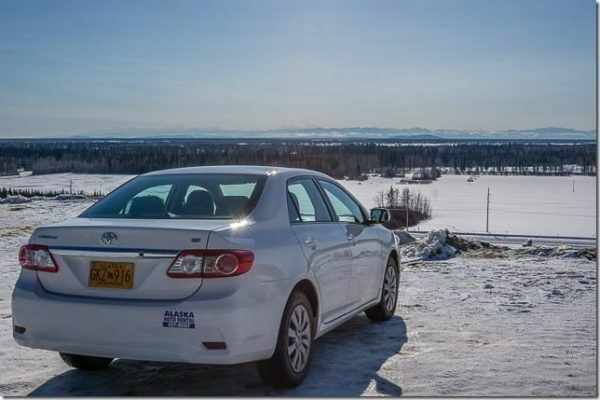 There’s a ton to do in Fairbanks, but I’d still recommend that you take at least a day to rent a car in Fairbanks and head out of town to see the surrounding area. The drive to Denali National Park is full of spectacular scenery and will surely be an incredible adventure. 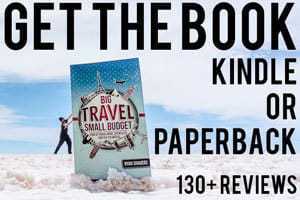 If you want to take more time, you can head all the way down to Anchorage, where you can see the snow capped mountains meeting the snow, and giant ice blocks floating along the shore. 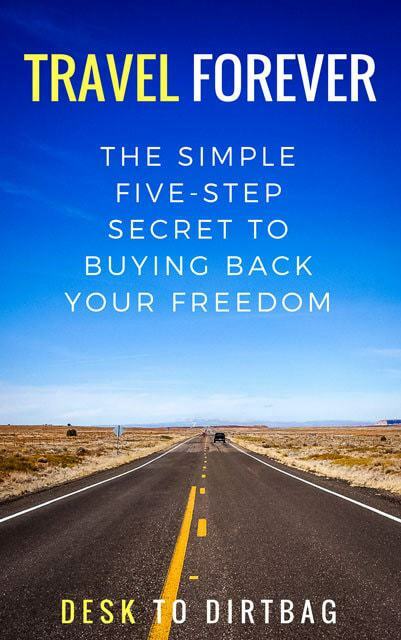 Taking a road trip will also give you a greater appreciation for just how massive Alaska is. Sirius Sled Dogs is owned and operated by Josh and Nita on an amazing property (also with great views for the Aurora) about 40 minutes outside of Fairbanks. We were instantly taken in with their warmth and hospitality, and enamored with the dogs that were all over. For Josh and Nita, mushing is a way of life, and they have created a really special place where they share their passion, as well as their dogs passion for mushing. You might initially think that the dogs are doing some grueling work that they don’t really want to do, but as soon as you see the team being put together on the line, and you can see and feel the excitement of the dogs as they are absolutely aching to run! We meet up with Claudia, an Aussie, who was volunteering with Sirius and helping out in order to learn to much her own team, took us under her wing and showed us around the property. Riding on the rails of the dog sled as we flew through the snow was incredible. We took two runs, one during daylight and one during the night, which was a whole new experience as the aurora borealis began to appear overhead. Read more about my experience dog sledding with Sirius Sled Dogs. Check out my more comprehensive blog post about chasing the Northern Lights in Fairbanks, Alaska with more details about where we went, what you need to know before you go, and how to maximize your probability of seeing the Aurora Borealis. 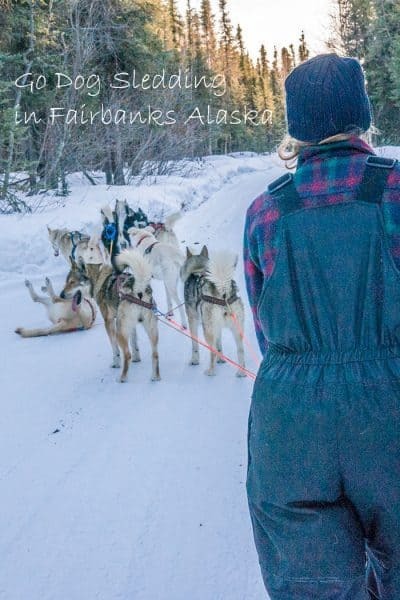 If you haven’t already, put Fairbanks, Alaska in the winter on your bucket list. 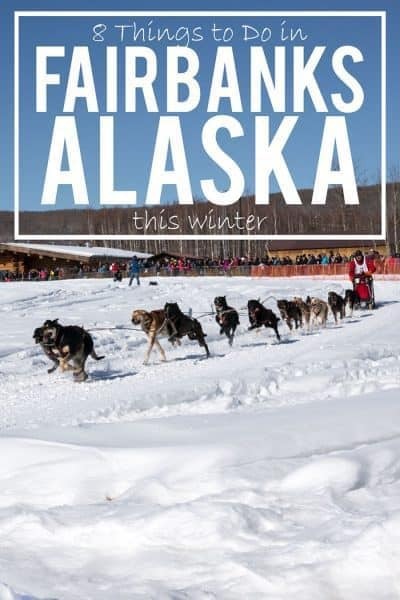 Be sure to visit Explore Fairbanks for great info. I challenge you to NOT be blown away by this place. could you tell me what camera settings I need to photograph the northern lights? You’ll need to be able to shoot in manual, you’ll want to open your aperture wide (low number), relatively long shutter speed of a few seconds or more — which means you will need a tripod, and an ISO setting of maybe 800 or 1600. That should get you started with getting some decent shots. Most important is manual mode and a tripod. Wow so cool! Lovely video, I can’t wait to go there. What an adventure – really glad you guys didn’t break through the ice – yikes!